India is a country known for its indigenous architectural wonders, and we also happened to find one in Belagavi in Bharat Nagar. A sort of flyover has been built connecting two houses on either side of the road. This is basically a Sanitary lane on in Hamal Vada Bharat Nagar. The anti encroachment squad came to know about this and has ordered the same to be demolished. 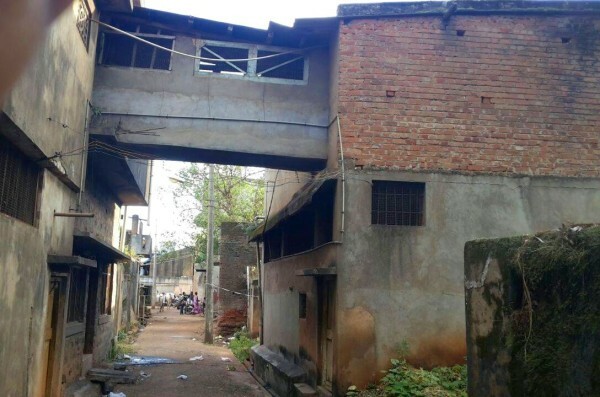 Even the engineers were amazed on the this act of a flyover connecting two houses on either side. Next articleMahesh Foundation gets KARNATAKA STATE AWARD 2014 for Child Welfare.